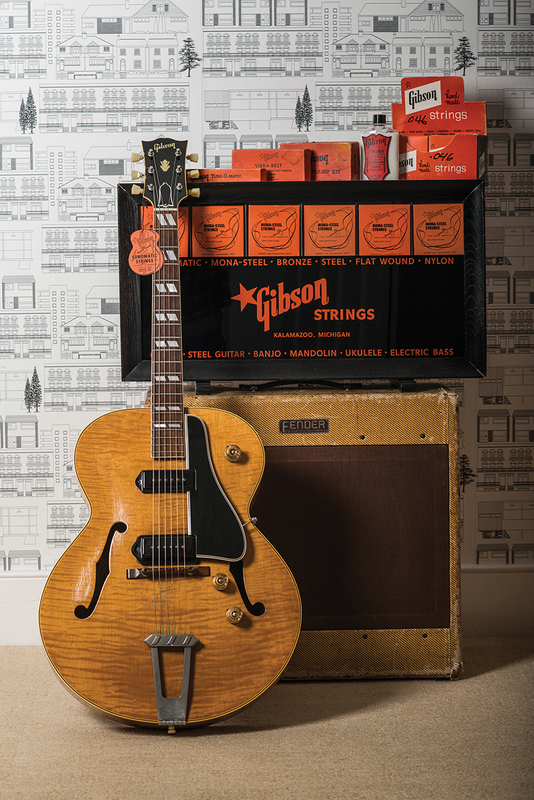 Owning a vintage Gibson – let alone a collection of them – may seem like an impossibility. Yet Rob Sampson disagrees, because he’s actually done it. 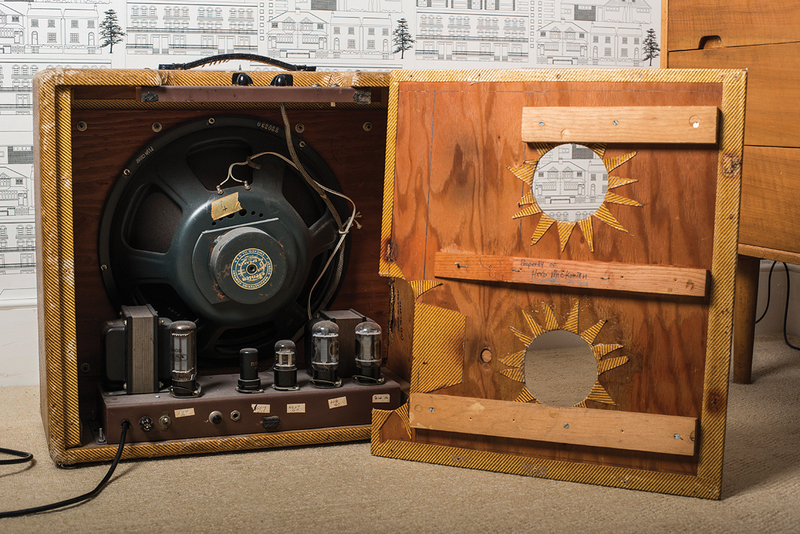 Rob Sampson’s collection is as impressive as they come – but refreshingly, his approach is quite different from that of most collectors. 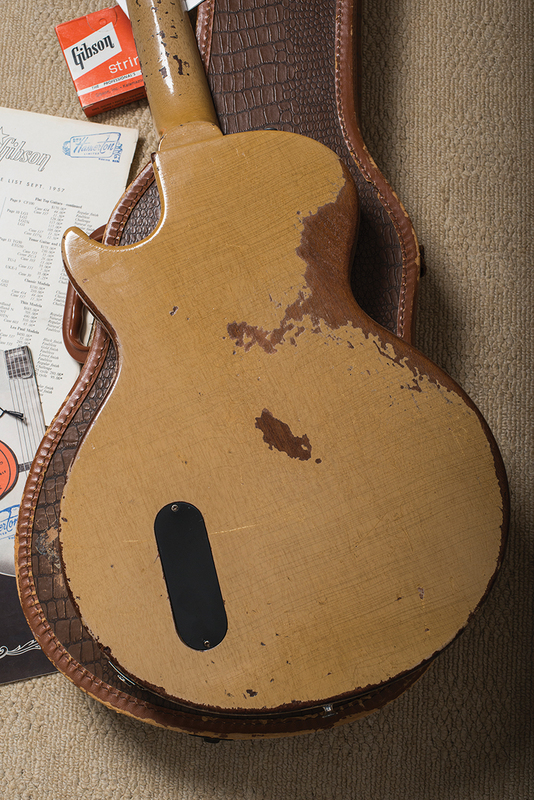 He’s unafraid of refinishes, headstock breaks, missing parts and modifications. 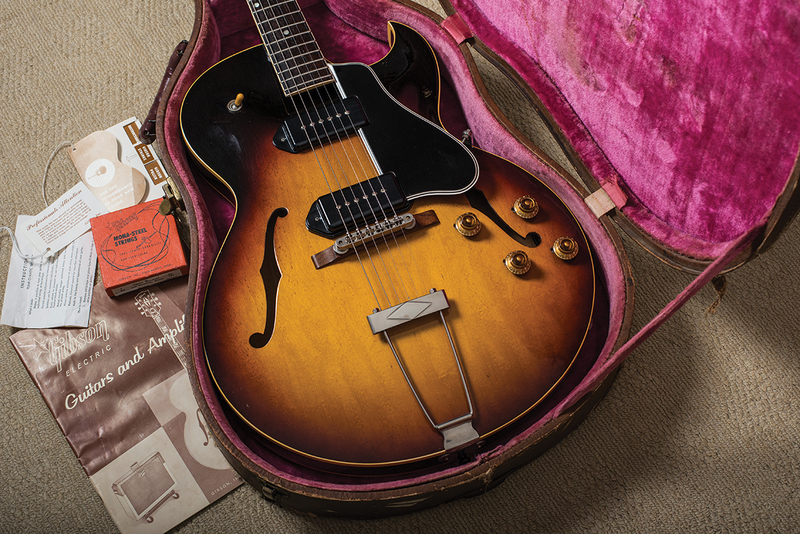 By and large, he avoids top dollar items, instead focusing on less-coveted models and picking up 50s and 60s guitars for less than the cost of current production reissues. But why did he choose to focus on Gibson? 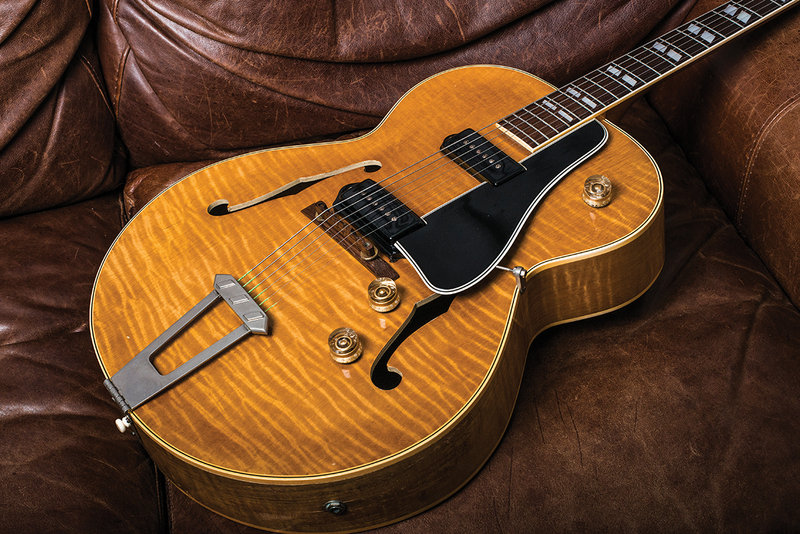 “The beauty of the Gibson brand, from a collecting point of view, is that there are far more midrange models that are affordable,” he explains. Rob’s love of rock music began when a schoolmate brought a cassette tape of Appetite For Destruction to class. Pictures of Slash and various other rockstars of the era often featured Les Pauls and, when Rob decided to learn guitar, that’s the model he wanted to play. The Melody Maker is long gone, but Rob managed to replace it with some fantastic solidbody Gibsons, including a TV Model. 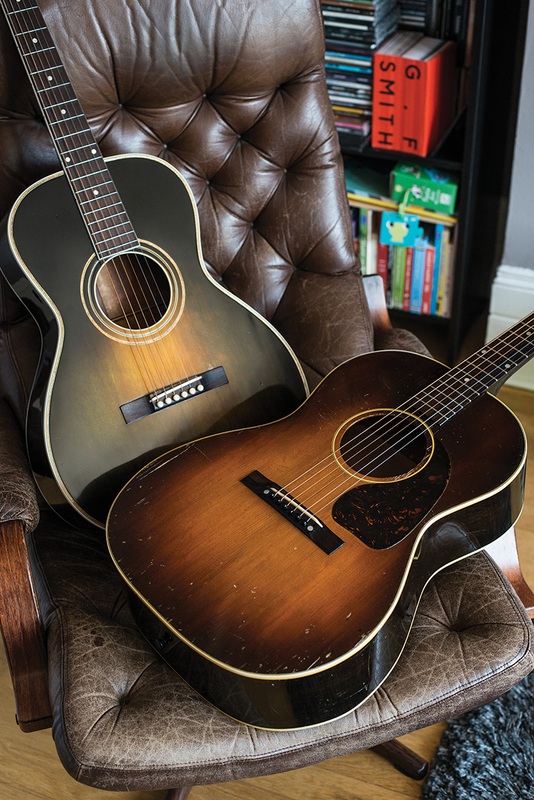 Having gone through a variety of Les Pauls, ES and jazz models, Rob became stricken with “a bad case of flattop sickness” and quickly acquired six vintage acoustics. 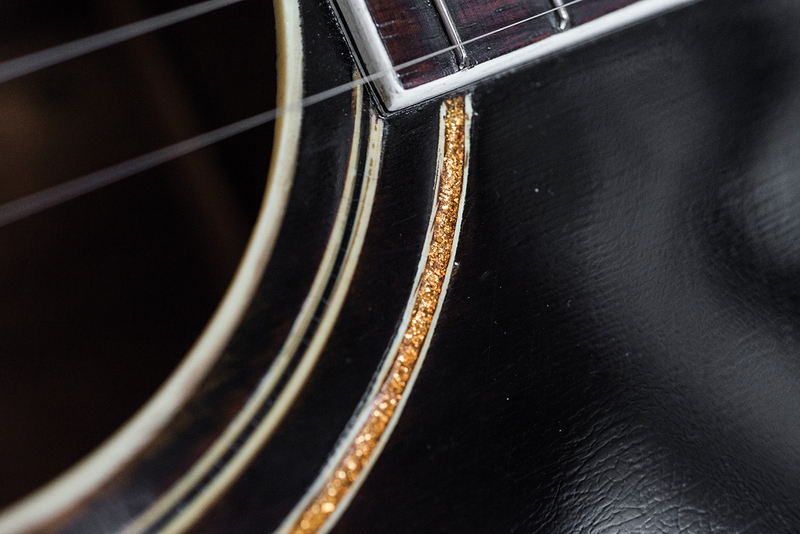 The highlight is probably a 1930 Gibson L-2 in Argentine Grey with gold-sparkle binding. “It was second-in-line to the Nick Lucas model,” Rob says. 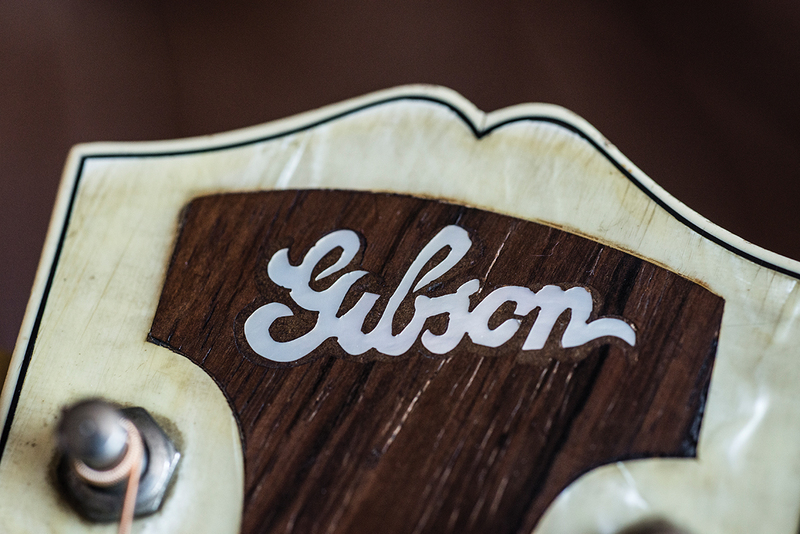 “Nobody knows how many they made, but probably about 200, so it’s really rare and unique in terms of its finish. 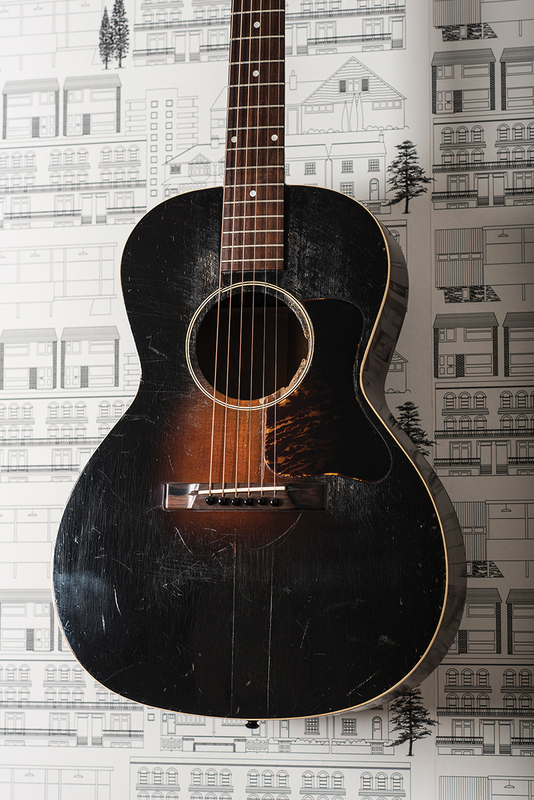 “It had been on the wall in No.Tom Vintage & Classic Guitars in Denmark Street for quite a while. I’d noticed it and knew what it was, but I didn’t know much about it. I always like to research something before I buy it and delving in, I discovered the regard this model is held in. 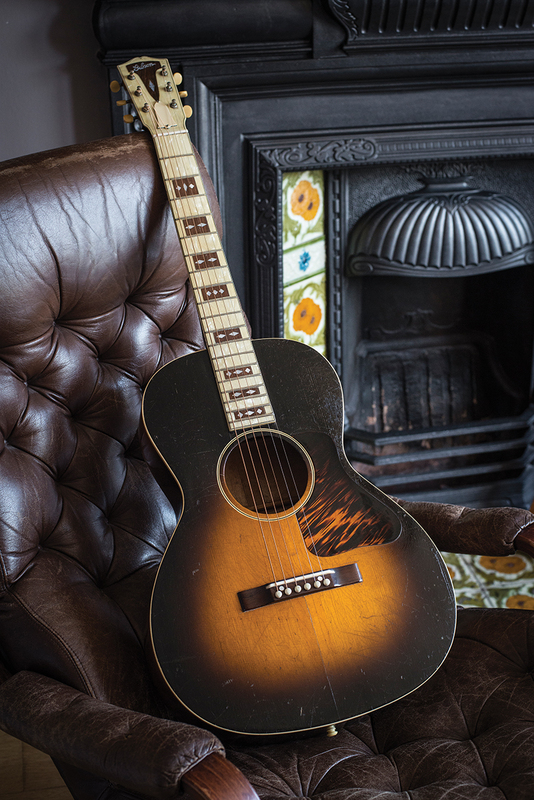 “It was one of the most expensive guitars Gibson made during the Great Depression, and it’s probably the most Martin-sounding, because it doesn’t have that ‘dry’ sound. It’s a lot more articulate than that and it even has a Martin look, with 12 frets and the bridge sitting lower on the body. 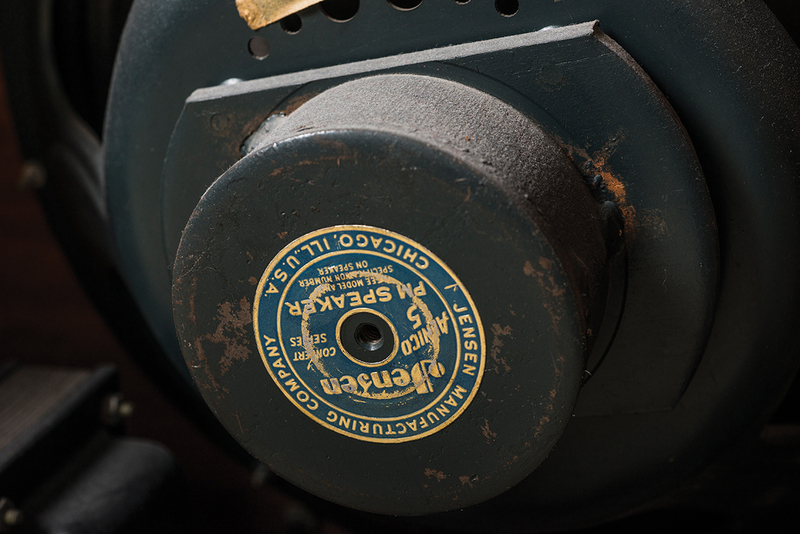 My ’46 L-00 was on Denmark Street labelled as a ’49, but it had the script logo, which they only did from 1946 to mid-1947. So it was priced lower than it should have been. 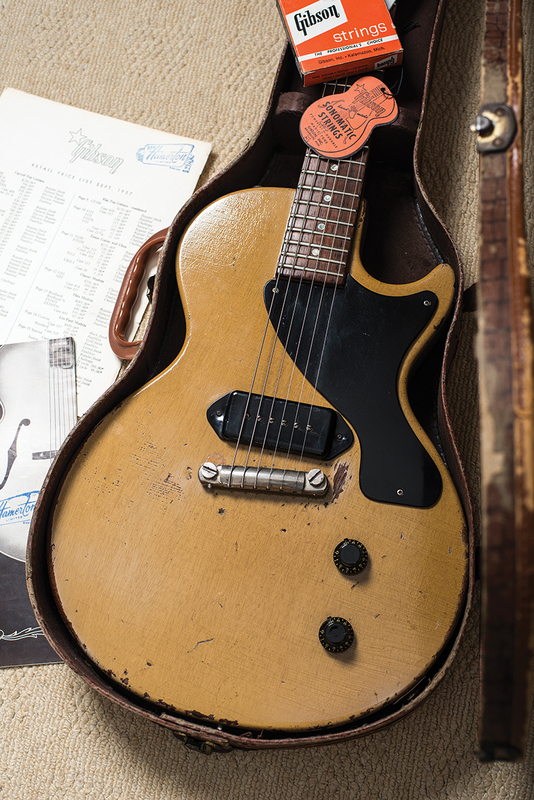 I’m into the history of these things, and this would have been one of the first guitars built by the Gibson guys when they got back from the war. That feels special to me. 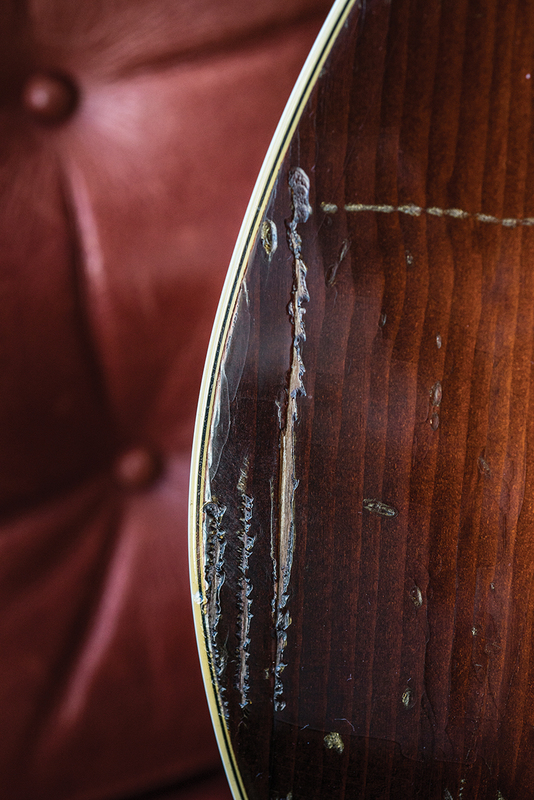 “All my acoustics have mahogany backs and sides except my 1936 Gibson L-Century ‘Century Of Progress’, which has flamed maple. That thing’s a cannon, it’s incredibly loud. It started out as the Hawaiian Model with a whopping V neck and the action is fairly chunky. I bought it with the tall nut for slide playing and I didn’t want to convert it fully for regular playing. 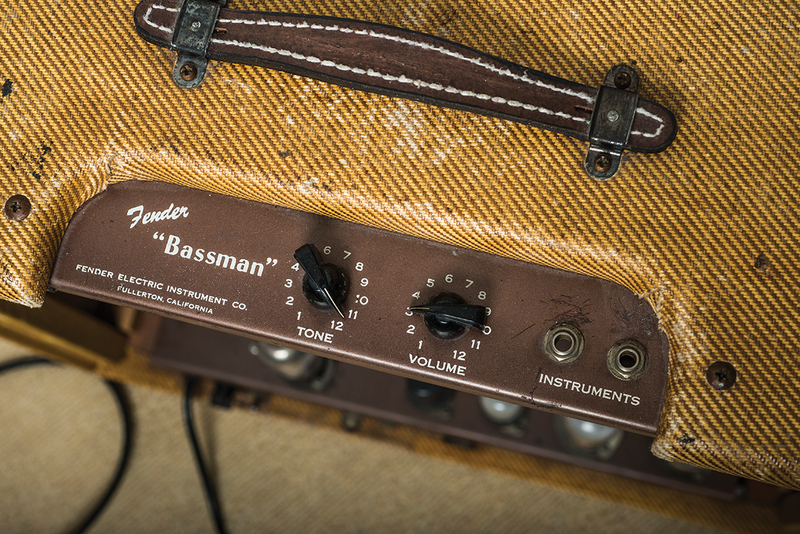 This TV model has a well-repaired headstock break, a DMC repro bridge and an added post holes, but when it looks and sounds this good, who cares? 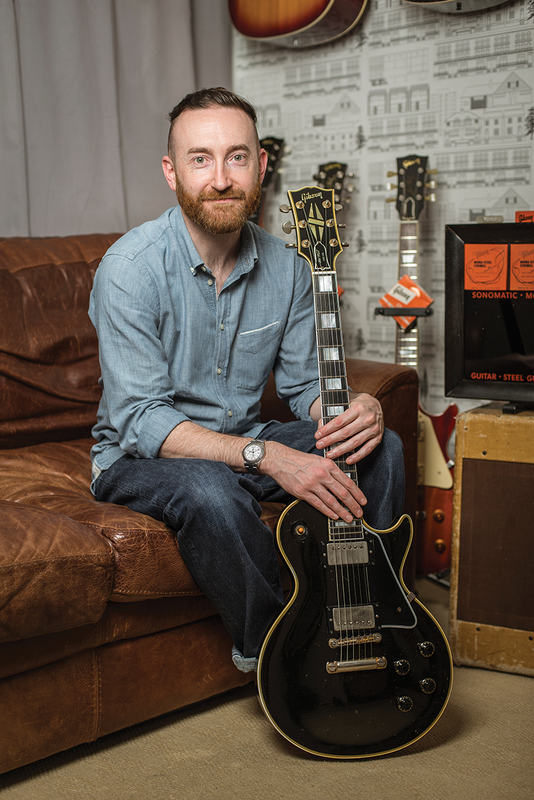 Despite his love of vintage Gibsons, Rob is a man after our own hearts when it comes to reissues. 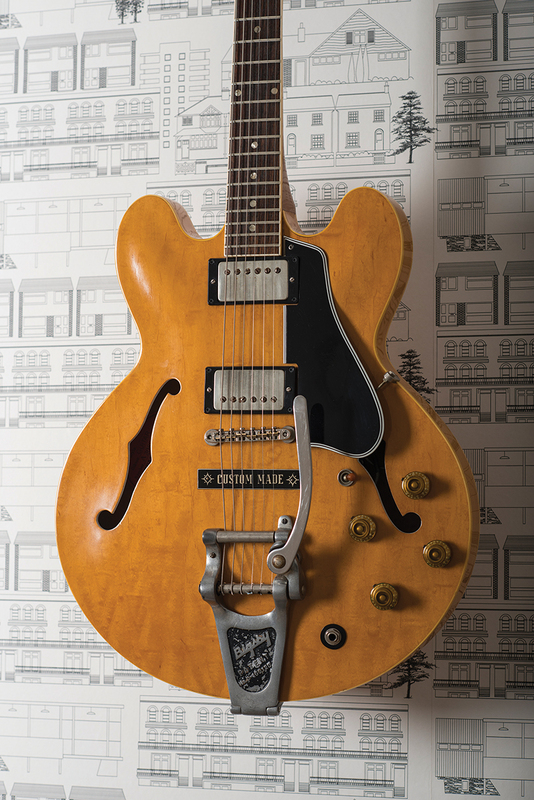 “A lot of people who follow me on Instagram assume my blonde ES-335 is vintage, but it’s an 80s one,” he admits. 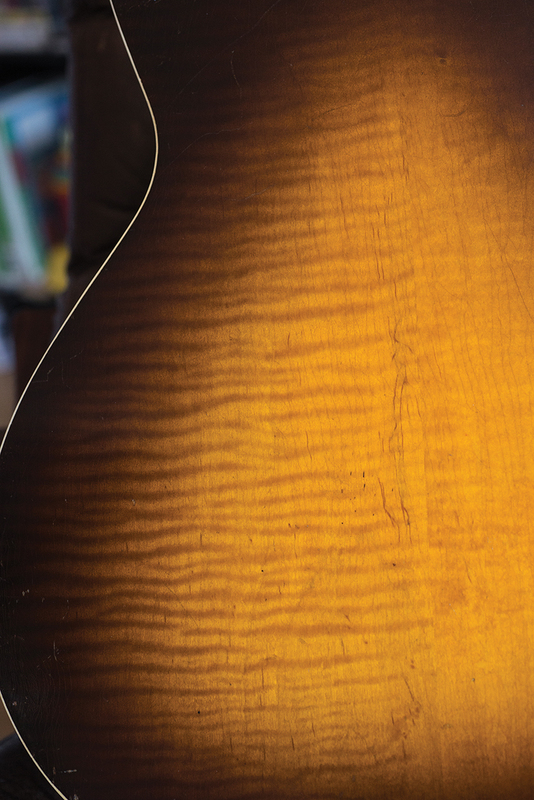 “Owning a vintage blonde dot neck is an impossibility for most of us, so I wondered how close could I get. Vintage parts and pickups do make a massive difference, so I installed Patent Number pickups, real M69 rings and an ABR-1 bridge. 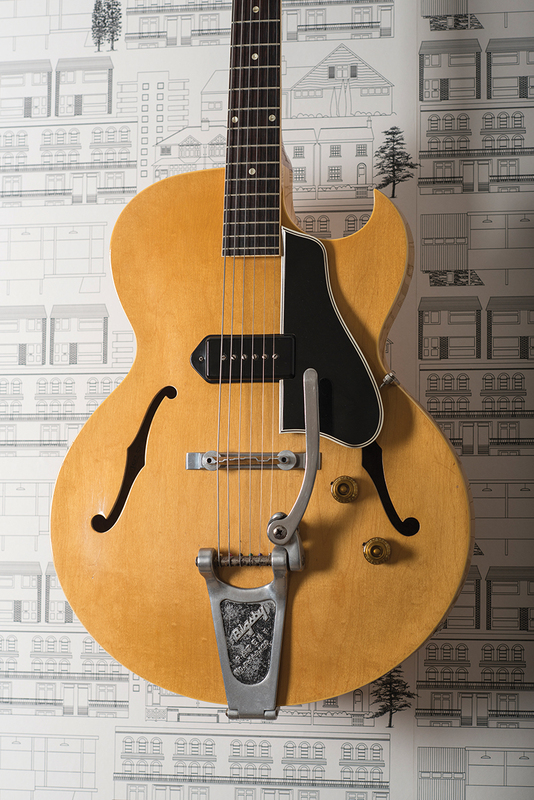 The Bigsby and ‘Custom Made’ plaque are 1960s and the knobs, pickguard and switch tip are vintage, too. 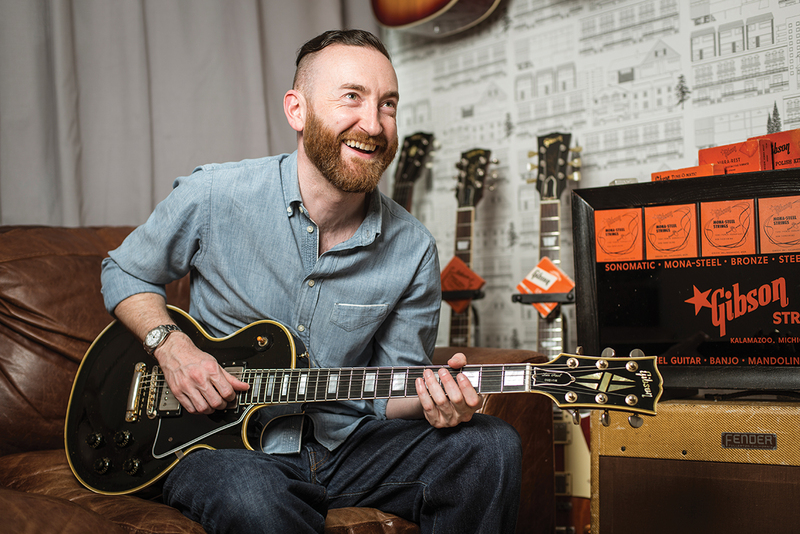 “It’s the same story with my Les Paul Standard and, to an extent, both guitars are just borrowing these parts. If I find a vintage husk that’s missing parts, everything can be transferred across. I see it as having two full sets of parts ready for a Les Paul conversion, or a stripped ES-335 if something comes up. That’s another great thing about Gibsons. “The parts tended to span most of those models. 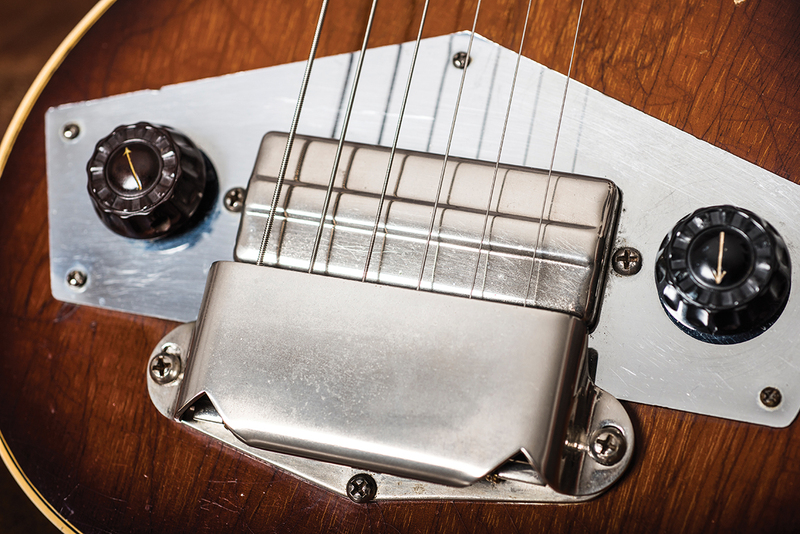 With Fenders, you can’t put a Strat pickup into a Tele or vice versa. 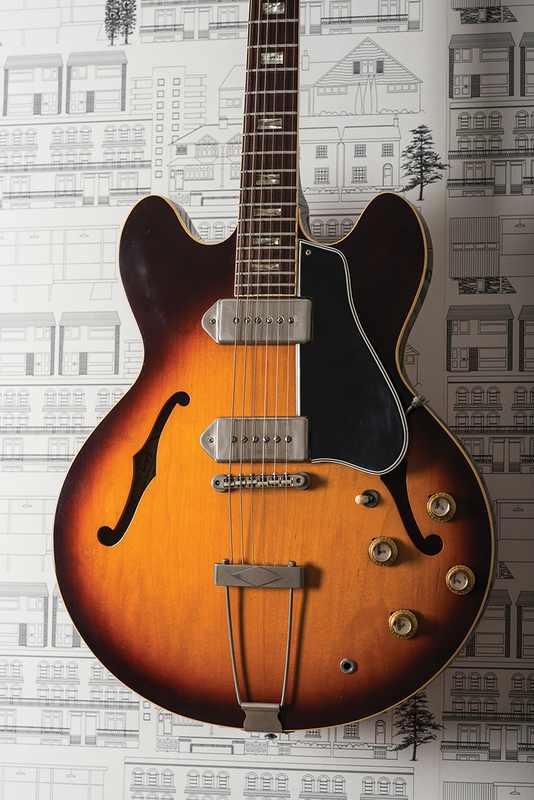 A Dog Ear P-90 is a Dog Ear P-90 and you can put one in an ES-300 or a Junior and all models in between. There’s something inherently different about the old ones, and while I don’t buy into the ‘vintage is always best’ thing, I think that it’s true of all the Les Paul models. If I had six grand to spend, I’d rather a beaten-up old Special than a modern True Historic Standard. Before we leave, Rob imparts some more sage advice. 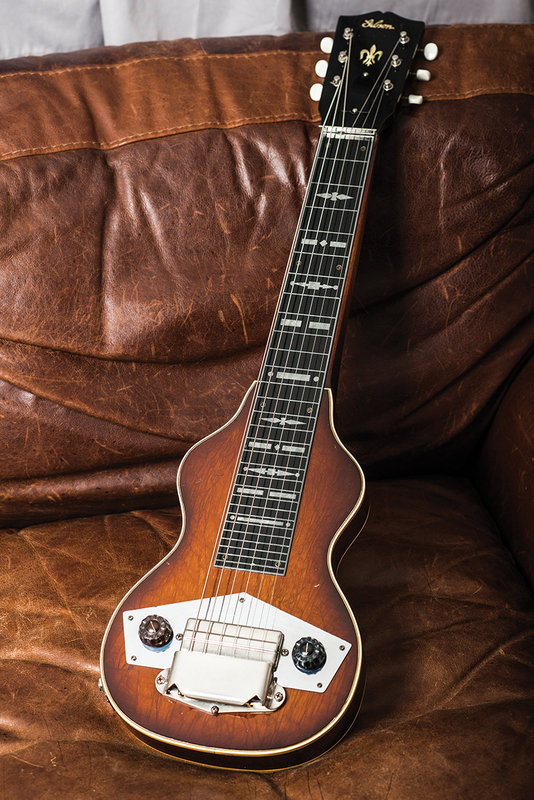 “People think that collecting vintage guitars is a rich-man’s game, and to an extent that’s true. But there were so many midrange Gibson models, you can buy cheaper guitars that are every bit as good as the really valuable ones. The only way I can buy a lot of this stuff is by getting player’s-grade guitars. “If I’d bought all these things in original condition, the collection would have cost me three times what I’ve actually spent. Sometimes, the value of a guitar with replaced vintage parts exceeds what I spent on it, but even if the increase in value just means I’ll just get my investment back, it makes the guitar far easier to sell.